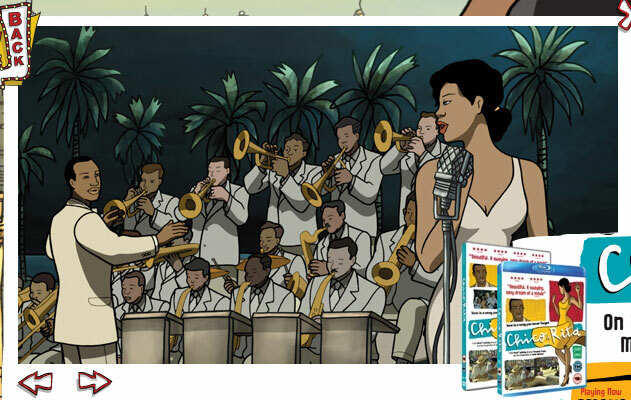 up, for an Academy Award Oscar for BEST ANIMATED FEATURE FILM, ‘Chico & Rita’ is a lovely, dreamy, steamy and often sad look back at beautiful times – its two main characters hurt by both their own tempestuous temperaments, and the biased days of 1948. This is a retro postcard that plays out as maybe the first Black Latin contender among the American and Japanese genres of animation. and its voice is adult, passionate and a reality check. 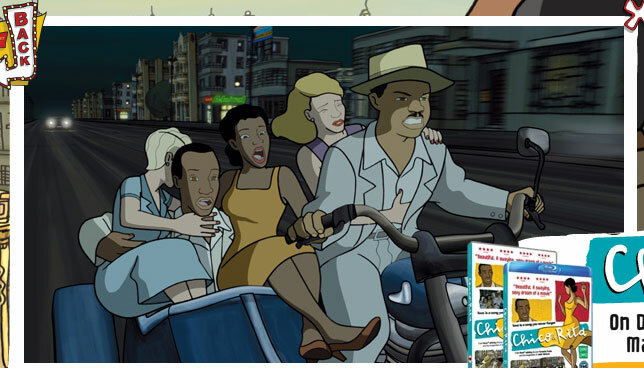 any comic book artist worth their salt, or any visual artist with soul for that matter, is going to marvel at how the characters’ black Latino features flit across the big screen and seep down into your soul. 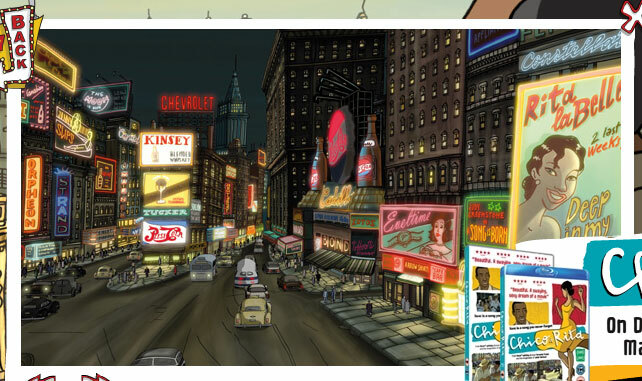 the backgrounds are literally ‘souvenir’ postcards filled with the lights and ambiance of cities and days, not that long past. and yes Chico arrives in the big apple, New York City, much the same way as the Cuban poet REINALDO ARENAS, of Julian Schnabel’s, ‘Before Night Falls’ did . . . amidst the wonder and magic of a big city snowfall. and like that eventful film, this one too, can steal your heart, and leave you secretly wiping away – the tears. the movie is framed by a flashback stance, that works really well, and gets you in the heart. closer to the action and drama, than a straightforward narrative might have. but what really captures your heart – is the music. haunting and beyond soulful, it betrays the term ‘jazz’ – and takes on an absolutely otherworldiness. it’s not quite a better time or place – but it is a ‘moment’ of pure desire . 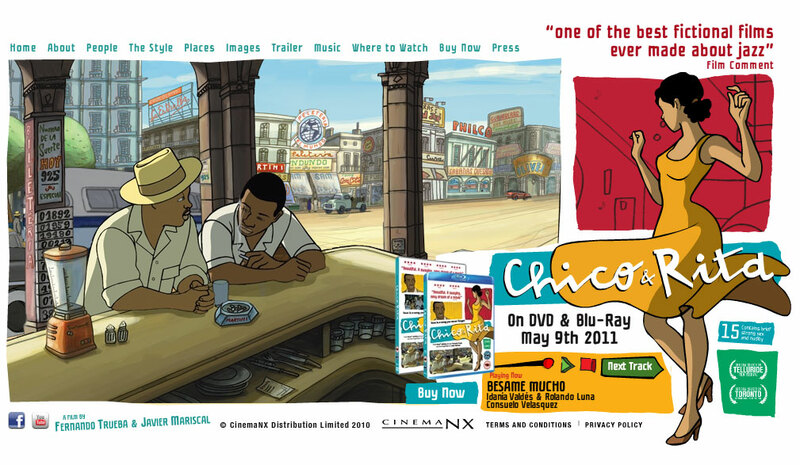 . .
in NYC, its currently playing at the ANGELIKA FILM CENTER.